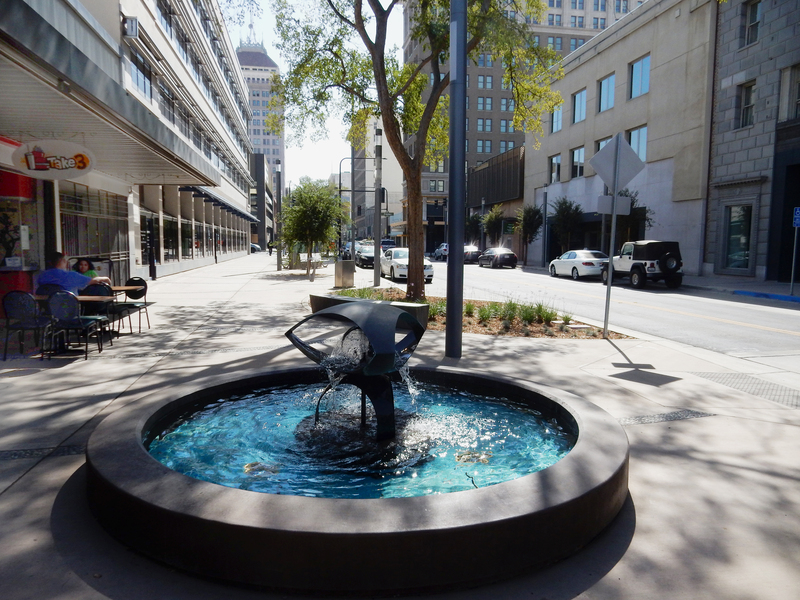 Located downtown in Fresno, California, the 6-block pedestrian Fulton Mall designed by Garrett Eckbo and completed in 1964 was once the heart of the city. 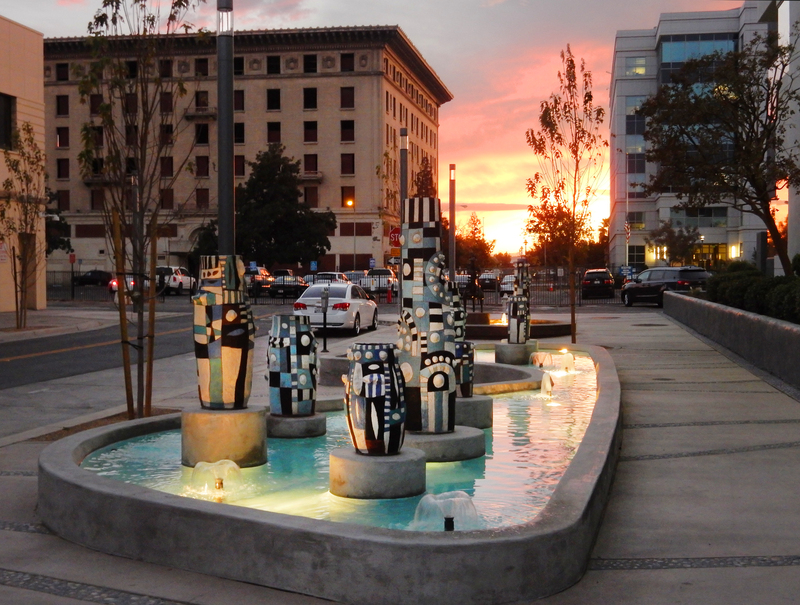 With more than 30 pieces of sculpture and 21 unique water features on display, curvilinear planters and benches, trellises, large canopy trees, and paving ribbons referencing local geography, the mall was ahead of its time as a model of urban design. 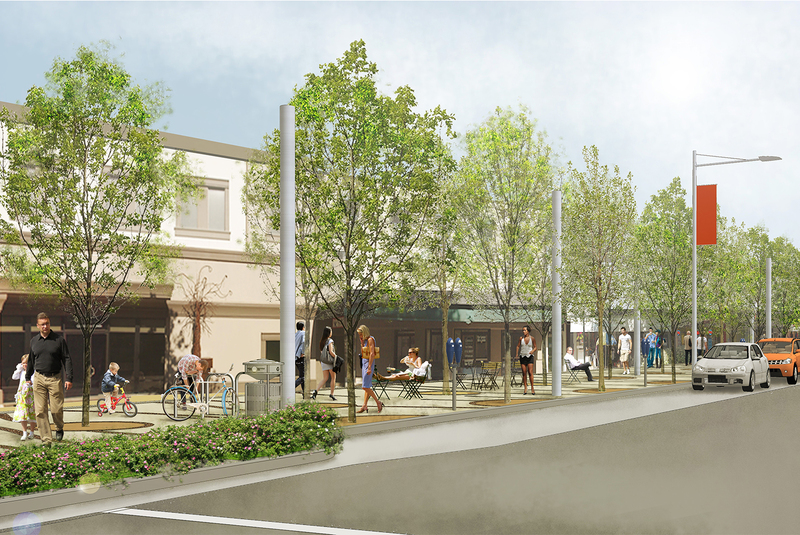 Although popular in its early years, the mall’s innovative design was not enough to avert the growing trend of the suburban shopping mall. 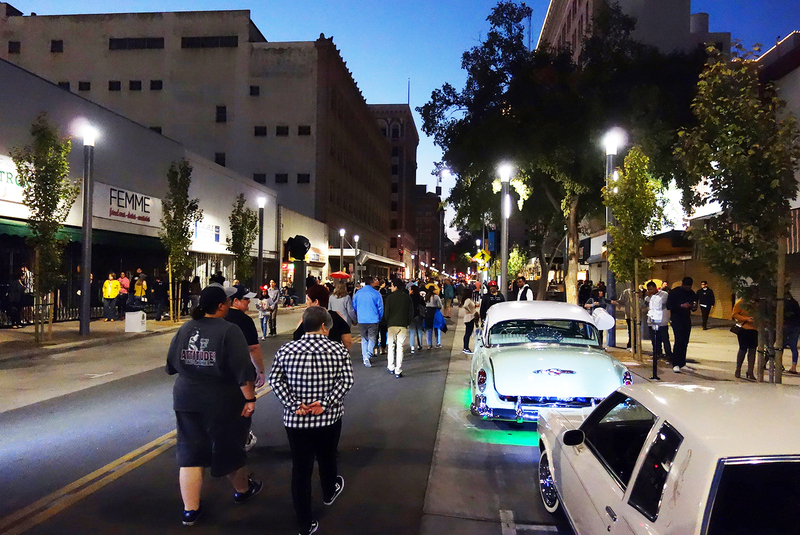 Eventually, all of the larger department stores moved from their downtown locations to the suburban periphery and downtown saw a downturn in economic and social life. 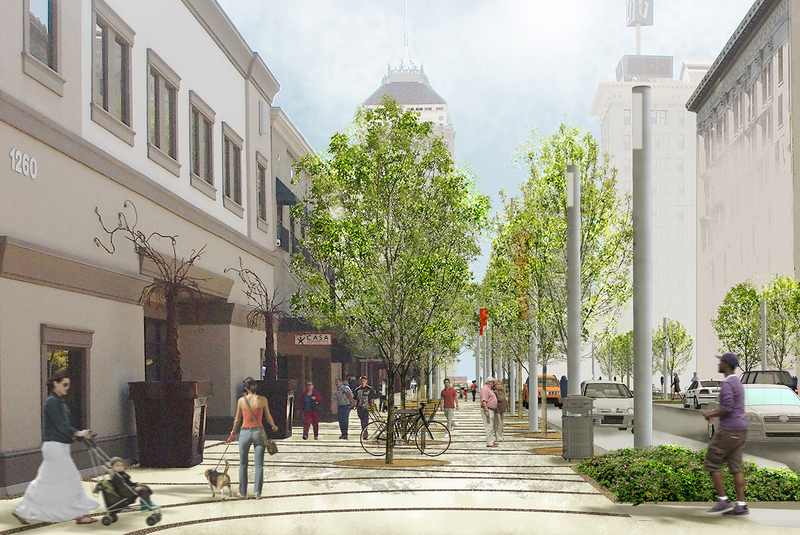 RHAA was hired by the City of Fresno to evaluate three design alternatives for the reconstruction of the mall. 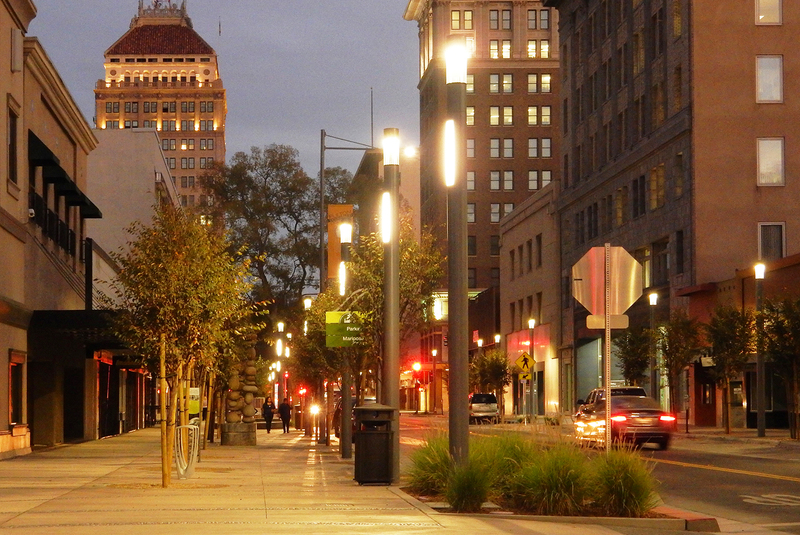 Through a series of stakeholder and community meetings and by coordinating efforts with consultants and the City of Fresno, RHAA has prepared an Alternatives Analysis Report for the redesign of Fulton Mall.The report carefully considers historic preservation issues while providing a design that maximizes social opportunities, brings activity to the street, and allows for flexible uses of public space.